Have you accepted your offer to study with us in October? Great news! Now let’s sort out your accommodation – we’re here to help you find the perfect place to live in London. Firstly, you need to think what kind of accommodation you want to stay in. Do you prefer Halls of Residence, private apartments or maybe Host Families? If you don’t know the difference, then let me explain it to you. Student Halls are the perfect choice if it’s your first year at university in London and you want to meet new people. There are few options you can choose: a studio, ensuite room with a private bathroom, or twin/triple room. If you check the prices it might seem quite expensive but remember all the bills are included so you don’t have to worry about paying extra for electricity, water, Wi-Fi, gas, council tax etc. 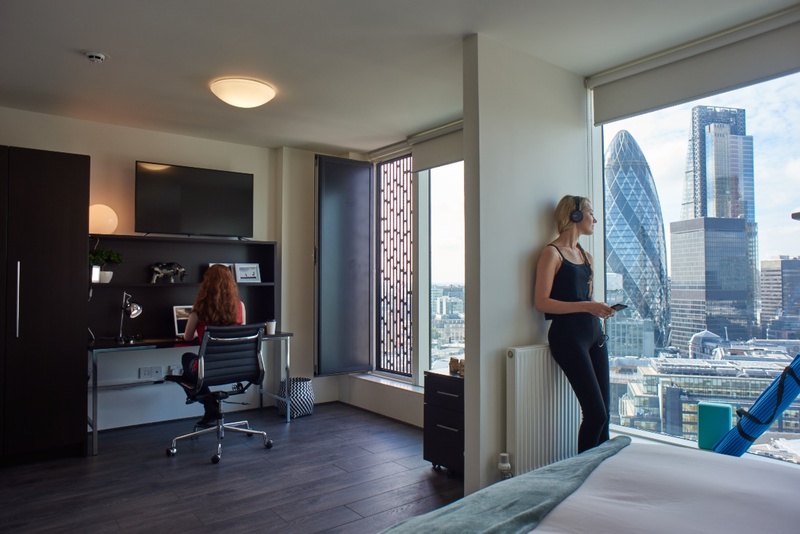 Student halls are also close to the university and very often within walking distance, so you don’t have to spend a lot of money on public transport. Student halls have a mix of students, so you will meet people from all around the world! There are often regular activities for students on the evenings and weekends! Remember: Never ever transfer money without seeing a flat, house or room! It is better to use an Estate Agent to help you with choosing the right house or flat. Before you sign any contract please read it carefully and make sure you do understand everything. If you don’t, do not sign it. Remember, there are no stupid questions. Renting a private property means that you will also need to pay bills such as council tax, electricity, water, gas, TV licence and Wi-Fi. Before you sign the contract ask the agent or landlord to show you recent bills to get an idea how much the cost will be, otherwise you might be surprised. Remember, choose a good location for your accommodation – not too far from the university as you don’t want to spend a lots of time travelling to university. If you want to improve your English language and learn more about English culture, staying at a Host Family could be the perfect choice for you. You will be part of the family, which means you will have meals with your Host Family and be able to spend time together. Before you decide to sign the contract, ask for references from other students. Think, would you like to live by yourself or with friends. Always check the place where you want to stay and don’t send any money until you have physically seen the accommodation. Ask as many questions as you need to, there is no such thing as a stupid question!